For some of you, you still have a month or more to go before you clean off your equipment and store it for next winter’s snow season. Now’s the perfect time to talk about the three areas of your snow business that need check-ups before closing down the winter season. Even if you’re still fighting snow and ice in the region you cover, you can still start these practices during the slower times between storms. 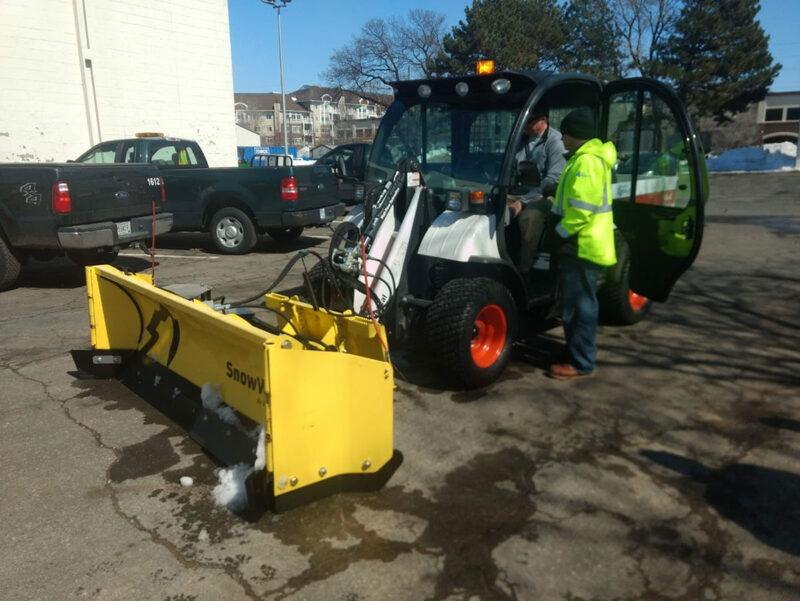 In a Snow Magazine article from last spring, many of the snow management experts agreed that through experience they learned to work on equipment maintenance right away in early spring—rather than procrastinating until the following fall to clean their trucks, loaders, plows and other snow equipment. Some suggested that the best way to beat procrastination was to put equipment maintenance checks on their calendars. Equipment Check: This is the biggest chore on the list—and one that often gets neglected when spring lawn and landscaping jobs are due. Many snow and ice management companies recommend that you get your trucks, loaders, plows and other snow equipment inspected and cleaned right after the last snow. If you don’t get these maintenance and cleaning jobs done, you risk your equipment rusting and having missing or broken parts. Plus, your supplier may not be able to get you a missing or new part at the last minute next winter for you to start managing your customers’ parking lots and roadways. Now’s the time to get the work done and repair your equipment, so you have it for your landscape business as well as ready for the next snow season. Tempers can flare under stressful winter conditions. Read how to keep your cool while on the job. Order Your Salt Ahead of Time: Don’t forget about the salt shortage the winter of 2018-19. You don’t know if there will be another shortage for the winter of 2019-2020, so order your salt ahead of time. If you’re a small snow and ice management company that is growing, then you also need to look into a new space for your business. If you have the room, you may need to add storage for your salt supply. And have you considered buying brine? You can order small totes that will fit on the back of your truck. They’re more cost-effective compared to buying a lot of salt. Plus, brine is growing in popularity because it works and there’s less salt residue going into storm water drains. Learn more: Here are four more chores to consider at the end of this year’s snow season. Make sure you reflect on the 2018-2019 snow season: How well did your company do this winter for your customers? If you send out surveys, make sure you read both the positive and negative comments. From these surveys, you can decide what changes need to be made or what systems can stay as is for next year’s snow season. It’s also a good time to budget for the following winter. Can you get through another season with a just a truck or will you need something bigger and more capable like a skid steer, tractor or loader? Can you afford to replace your truck? Which choice fits your budget? Then, think about your crews. Did you hire enough sub-contractors this year? How did your new employees handle stressful winter conditions and irate customers? Again, late spring and early summer are perfect times to think about the above and to make changes for the next winter season. At SnowWolf, we design and manufacture the most versatile snow plows in the business. Our plows use technology that increases operator efficiency to move more snow in less amount of time. Not only do you get the cleanest scrape each time you plow, but you also get the job done faster. Even your newest drivers can quickly learn how to operate our newest autowing plows with ease. We have a wide variety of plows to fit different snow pushing machines, such as autowing plows and snowplows.